Commercial Air Duct Cleaning is a more specialized job but can be very profitable and a great source of recurring revenue. Commercial air duct cleaning can apply to office buildings, hospitals, schools and other multi-story buildings. 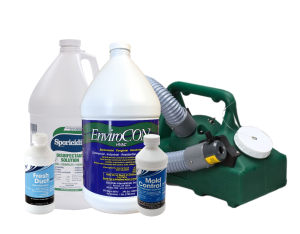 Check out these tools to help you offer effective air duct cleaning to your customers. Vacuum collectors for commercial air duct cleaning are the focus of removing dirt and debris from residential HVAC systems. 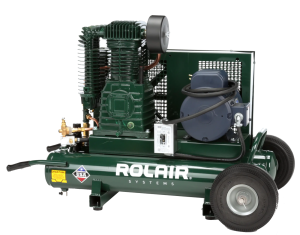 Electric portable collectors are used for many types of commercial buildings and Gas powered vacuum collectors can be used for low rise apartments. There are several ways to ensure the dirt and debris are thoroughly dislodged and pushed towards collection. Typical options for cleaning would be cable driven brushing, air whips or air washing. 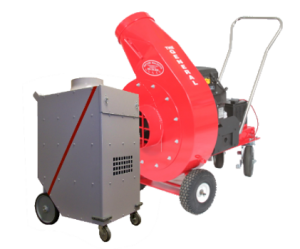 Air wash or sweep dirt and debris towards the vacuum collector. 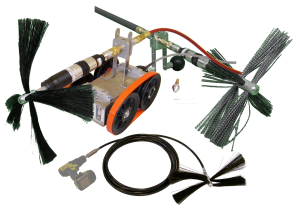 Pneumatic air brushing and air wash require a professional grade air compressor to dislodge dirt and debris and assist in moving it towards the vacuum collector. Air duct cleaning requires a high powered compressor with typically more than 18-20 cfm and 175 psi pressure. Vacuum collection, brushing or air whipping will require access to the supply ducts and trunk lines. You may also need to isolate zones to maximize vacuum performance. 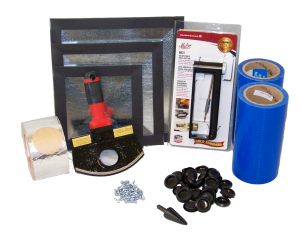 Typical tools include hole cutters, zoning mask, access covers and plugs. An added service to residential duct cleaning would be to disinfect and eliminate odors. Typical methods would be to use a ULV (Ultra low volume) fogger to infuse disinfectant or odor reducer into the HVAC system.